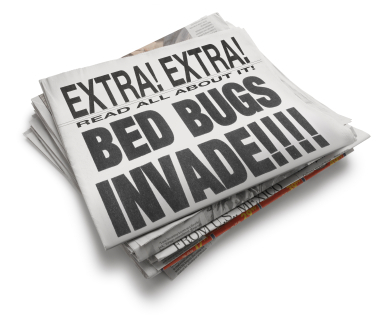 Bed Bugs have invaded Southern California! Coast Chem Exterminating is here to offer you the latest pest control methods to eradicate these unwanted pests. 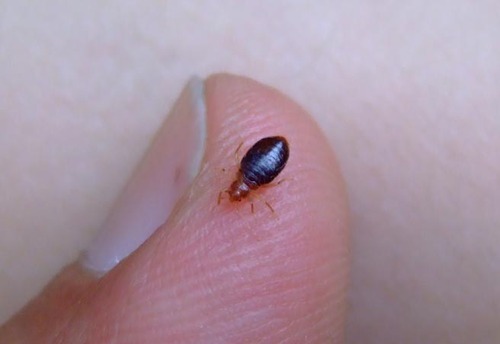 Adult bedbugs are reddish brown, flattened, oval and wingless with microscopic hairs that give them a banded appearance. They are sometimes mistaken for ticks or cockroaches. A common misconception is that they are not visible to the naked eye, but adults grow to about ¼ inch long. Bedbugs particularly like wood and fabric. They hide in cracks, crevices, narrow spaces and voids in proximity to where humans sleep or rest such as: beds and bed frames, nightstands, dressers, desks, recliners, and sofas. Heavier infestations spread behind baseboards, in windows and door casings. Look for them behind items attached to walls and ceilings, pictures, electrical switch plates, smoke detectors, loose wallpaper, in the pleats of drapes and the upholstery of furniture. Bed Bugs are extremely difficult to kill. Products sold at retail stores will rarely eliminate the problem. Using a pest control professional is your best option. At Coast Chem Exterminating we offer various treatment plans to combat these parasitic insects. Whole Home Fumigation – If you live in a single family house and are experiencing bed bugs this will be the easiest and fastest way to eliminate the problem. Coast Chem Exterminating will use the same method as fumigating your home for termites by placing a tent over the structure and fumigating with Vikane Gas. It requires more gas to kill bed bugs and their eggs than it requires for termites, so the added bonus is your house will be Termite and Bed Bug free when you return. Call us for a free quote. 4-Week Treatment Plan – This plan is found to be most effective when deciding to spray & fog for bed bugs. Our trained technician will show up once a week for 4 weeks using the latest Bed Bug products and techniques to rid you home of these unwanted pests. During each visit our tech will monitor, treat and inspect the residence providing you with updates on the service and what needs to be done prior to the next visit. As mentioned Bed Bugs are extremely hard to kill. Contrary to most beliefs they do not just live in the bed. They can and will live anywhere they can hid from direct light. They are usually within 10-15 feet of their food source…you! One Time Service – At Coast Chem Exterminating we offer a one-time service that allows property managers, home owners and tenants the opportunity to have their units or home treated just one time. We can provide service reports for your files. This method would be used if you wanted to just treat one time and see how it goes. If you need another you can always call us back! Bed Bug Heat Treatment (Vacant Units Only) – This is a great option for property managers and owners of apartment complexes. Bed Bugs can be a nightmare for both. At Coast Chem Exterminating we offer heat treatment services that are great to perform on units that have recently be vacated and have a history of bed bugs. The heat treatment is proven in killing bed bugs and their eggs in areas it may be impossible to spray. The investment of heat treating a vacant “problem” unit before a new tenant moves in could save you big money in the long run. Ask us about our package that includes heat treating a vacant unit followed by a residual spray treatment. Give us a call for a free inspection or quote today.